Let’s talk about some C words – cavities, calcium, and cheese. Calcium is the main component of our teeth, which is why getting a proper amount of calcium is so important to keep our teeth healthy and strong. How do we do this? By eating calcium rich foods, of course! Dairy foods such as milk, cheese, and low fat yogurt are great sources of calcium (there are also non-dairy foods that are calcium rich as well) and contribute to our overall dental health. However, did you know that studies have shown that cheese (yes, delicious cheese) can help reduce cavities? Cue rejoicing everywhere! Cavities are one of the most prevalent infectious diseases present. In fact, cavities among children is the most chronic childhood disease! Remember, cavities are 100% preventable! Cavities are formed when foods with carbohydrates are broken down into acids by the bacteria in dental plaque that are present on your teeth. Although cavities are caused by multiple factors that work together, we know that diet and nutrition are important for prevention. Cheese can help prevent cavities in a few ways. It has been shown that chewing cheddar cheese after eating a sugary food makes the dental plaque less acidic within two minutes of consumption. Other cheeses that have been shown to help in decreasing the acidity in plaque are Gouda, Blue Cheese, Monterey Jack, Mozzarella, and Swiss. Cheese can also increase your saliva flow, therefore helping wash away acids on your teeth. Finally, aged cheese (one of our favourites), is recognized as having cavity fighting characteristics when either eaten alone or at the end of a meal or snack! Now that we know the hero powers of cheese, we teamed up with our favourite cheese company, Bothwell Cheese! Why do we love Bothwell so much? Well, they are local and we are all about supporting local. Their cheese is made in New Bothwell, which is the next town over from us here in Niverville. Also, Bothwell Cheese is made with 100% Canadian Milk and all natural ingredients! 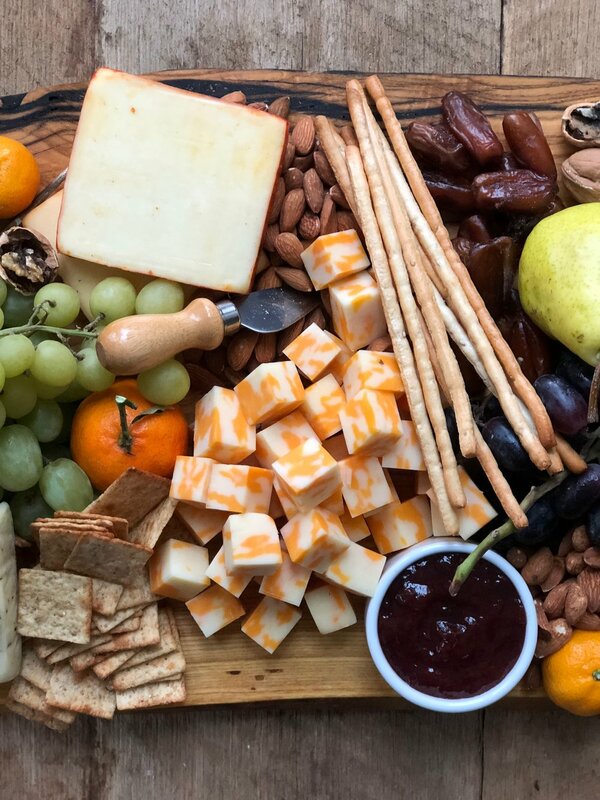 There are so many options from Red Wine Extra Old Cheddar, to Jalapeno Monterey Jack, to Maple Smoked Extra Old Cheddar, there’s something for everyone! Need an idea for your next family meal that’s healthy and loaded with cheese? We recommend Veggie-Filled Mac N’ Cheese by our favourite registered dietician, Nita Sharda of Carrots and Cake Balanced Nutrition Counselling. Need some delicious Bothwell Cheese in your life? We are doing an epic GIVEAWAY! 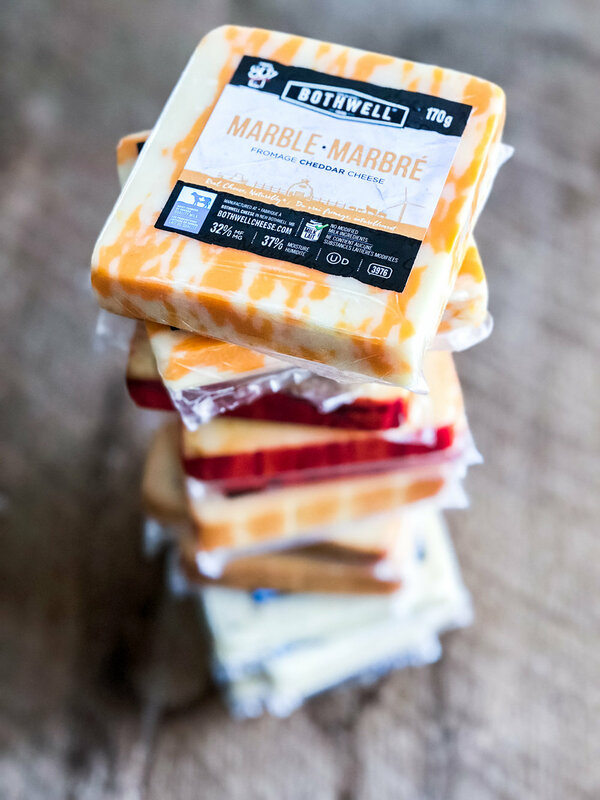 All you have to do is comment below with your favourite Bothwell cheese product and you will be entered to win a gift basket full of Bothwell Cheese products as shown here! We will be announcing the winner on Monday, April 8th on our social media accounts, so make sure you are following us on Instagram and Facebook! So the next time you have a craving, reach for a piece of cheese! It’s delicious, satisfying, and good for your teeth. It doesn’t get much better than that! ***Contest closes April 5th at midnight. Winner will be announced on Monday, April 8th on our Instagram and Facebook accounts. This contest is in no way affiliated with Instagram or Facebook. Open to residents of Manitoba, Canada only. Source: Kashket, S., & DePaola, D. P. (2002). Cheese Consumption and the Development and Progression of Dental Caries. Nutr Rev, 60(4), 97 - 103. As we embark on a new year, we think it is important to take the time to reflect on the things we are grateful for, both personally and professionally. We hope you enjoy reading a bit of what each one of our team members are grateful for! Professionally, I am grateful to be working in my hometown which allows me to meet new people and reconnect with others. I’m also grateful to be able to work at an office where the entire team are incredible, genuine, smart, and compassionate women who are always looking out for our patients and one another! Personally, I am grateful for my husband! We celebrated 20 years of marriage this past year and I am a much better person because of him! I am grateful for my health and turning 40 this past year! So many milestones, but so blessed! I am looking forward to spending time with friends, family, and making memories! Life is too short, enjoy the times you have with one another! I am grateful for being able to live and work in such a beautiful community. I love seeing everyone's smiles whether it be at the dental office or while out and about in town!! I am also grateful to my family, my husband and both of my kids who keep me busy, but make my life what it is today. Thank you Niverville for making my family and I feel so at home here over the years! This past year I am very grateful for my family and the time we have spent living in St. Norbert. It has been an amazing adventure renovating our current home that looks like it was from the 80's, as well as starting to build our "forever" home in Rosenort. I have enjoyed living close to family and watching my daughter have an incredible bond with her little cousin. I am grateful for all my co-workers and how supportive everyone is. It is truly a great place to work and I have found my home here amongst friends. This coming year I am looking forward to moving into our new house and turning it into our dream home. I am also looking forward to our new baby that is coming in March and being on maternity leave to be able to enjoy the new baby stage, cuddle and love him/her and to see how our daughter will love being a big sister to her baby brother or sister. (Yep, we aren't finding out what we are having)! I have many reasons to be grateful, especially this past year as I’ve encountered new blessings. Professionally, I am thankful for the fun and dedicated people I get to work with at the office. They welcome and encourage growth and improvement like no other team I’ve worked with in the past. In my personal life, I am grateful for my family and friends. This past year I have made it my goal to spend more time with them and appreciate who they are. The last couple years I had been living in Brandon, MB and I lost touch with too many people and am so thankful for their support and to have them back in my life regularly. I look forward to spending more time with people I care about, taking educational courses relevant to my line of work and starting the hunt for buying my first home! I am grateful for the relationships I have built with not only the wonderful girls I work with, but for the patients who make our office possible. We have had the best year so far at Niverville Heritage Dental Centre, and it is only going to get better! Tying work and personal life together, I am so very thankful to work as close to home as I do. On the personal side of things what can I say, I am very thankful for my two wonderful daughters, my husband and the health and relationships of my family and friends. All the Best to you and yours in 2019! I am personally grateful for the health of my family and being able to witness the personal accomplishments my children have made over the past year. Professionally I feel grateful to be able to witness everything we are wanting to accomplish here at the office. It is so wonderful to see all of us working so hard to achieve a common goal and all the new ideas we are aspiring to together. I feel it is so easy to lose sight of everything you have to be grateful for. I tend to get caught up with the daily routine, but when I take a moment to reflect, I realize how lucky I really am. I am eternally grateful to my parents who constantly put my needs ahead of theirs, even when this is their time to relax! They have always been my largest supporters and I don’t know what I would do without them. My husband and kids give me the motivation I need to keep dreaming and to keep achieving my goals, both personally and professionally. My best friends keep me sane when I feel like I’m going to lose my mind, and for that I will always be grateful to them. Professionally, I feel so blessed. I have the best group of ladies around me who come into work everyday giving it their absolute all. They reach for the stars with me, and I know we will accomplish every single dream we dream because of who they are as individuals and what we are as a team. I am eternally grateful to the community of Niverville who have welcomed me with open arms. It may sound unbelievable, but I have not once woken up dreading to come to work since I started working here. I love what I do, I love where I work, I love the people I work with, and I love the people who trust us to work on them. It doesn’t get much better than that. Hi! 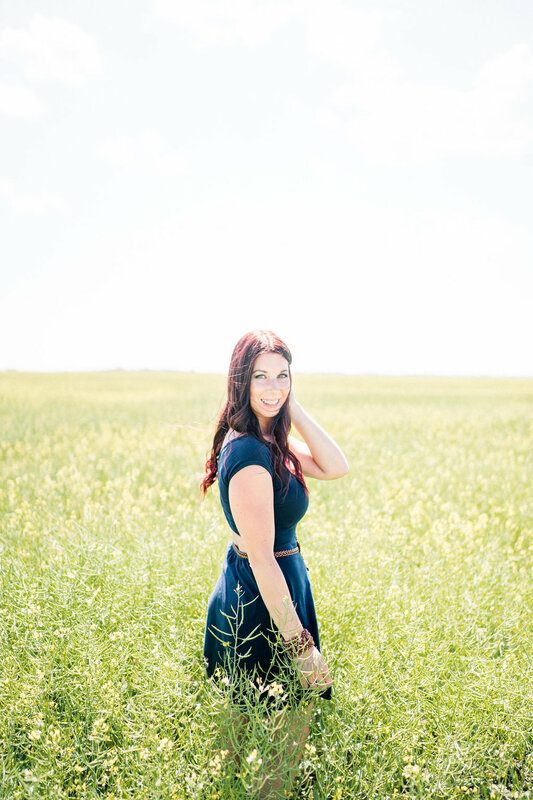 This is Ainsley, and I'm the office manager here at Niverville Heritage Dental Centre. 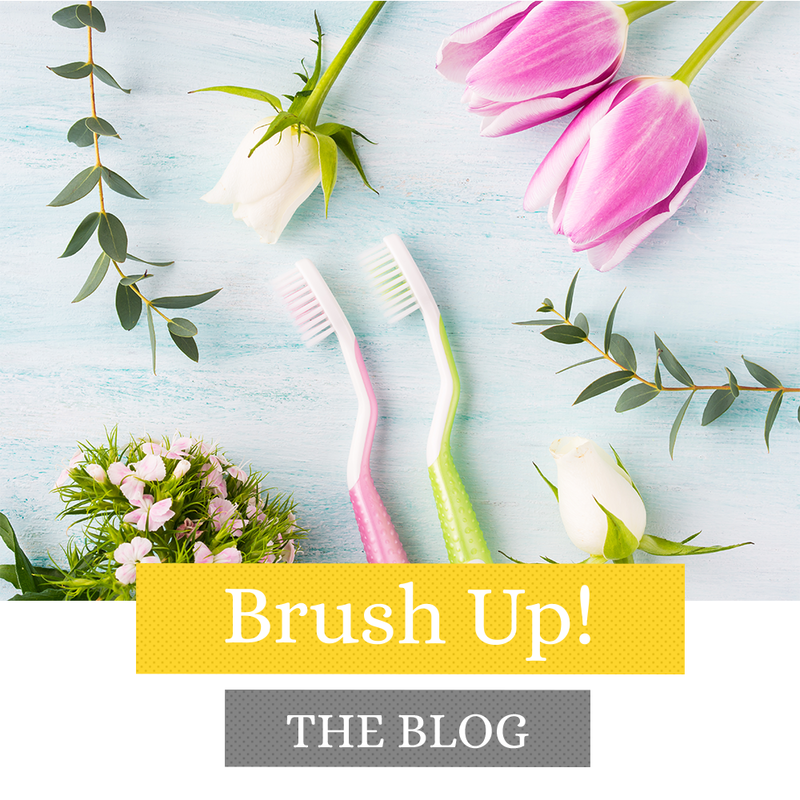 I'm going to be talking to you about your dental insurance and how you can get the most of your dental insurance plan, especially since the end of the year is drawing near! Hi! I’m Ainsley, our office manager! Dental insurance is often renewed on a yearly basis, understanding your plan is the first step to making the most out of the benefits you could be receiving. Dental insurance, simply put, can take some or all of the cost associated with most dental treatments off of the patient and into the hands of the Insurance provider. You pay a monthly premium to have these benefits at your disposal, why not make the most of them?! The best way to ensure you are getting the most from your benefits is to schedule and keep your routine recare appointments (i.e. dental cleanings and exam). During these appointments a full hygiene cleaning is done, as well as a thorough check up by your dentist. Having routine check ups with your dentist allows us to find any problems while they are small and address them right away before they have a chance to turn into larger problems. With most insurance companies, routine maintenance and cavity treatments are often covered at a higher percentage compared to major dental work such as crowns, bridges, dentures, etc. Most of the time, major work is needed when a small problem wasn’t dealt with and left to grow, so catching problems early on is key to making the most of your benefits! You’ve all heard the saying “Use it or lose it.” Well, the same applies for your benefits! Each year every family member covered on any dental insurance plan has their very own limit to use and if you don’t use it, it is not carried over to the next year. Taking this into consideration when planning any routine or more extensive treatment needing done will help you use the benefits you are entitled to each year and ensuring you have the maximum funds allotted for the following year should you need them. We know dental insurance policies can be confusing, we can help with that! If you are unsure what your plan entails we can help set you on the right track to deciphering it. We can let you know who to call and even what to ask in order to help you better understand your coverage. Once we are provided with the details of your personal plan we can even help track your coverage to make sure you stay within the limits and are aware of what portion you would need to pay if any for any treatment or preventative maintenance you may need. The time of year when insurance benefits are resetting is drawing near! 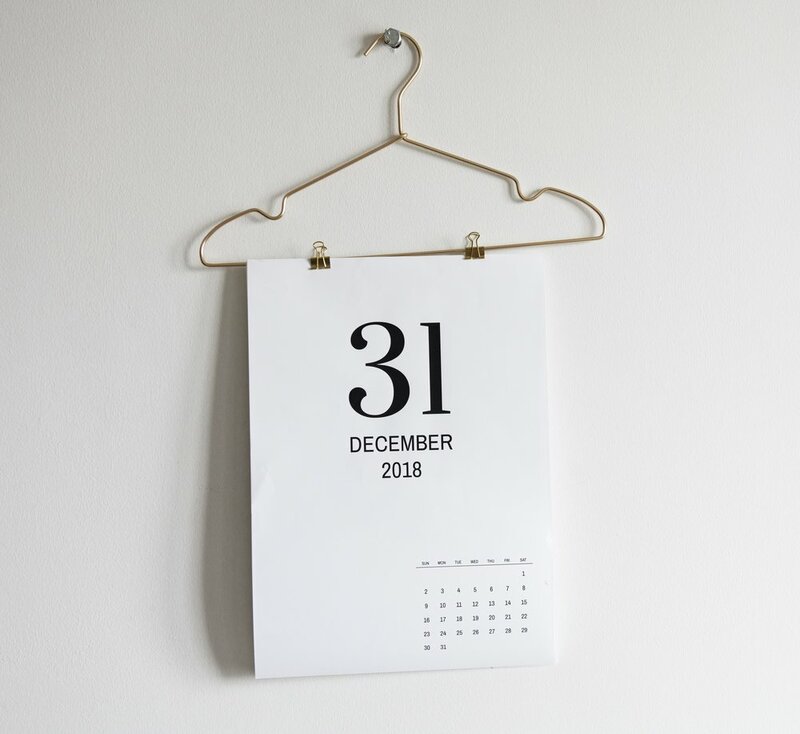 Most dental insurance plans go by calendar year, which means your plan likely expires on December 31st, and renews for the new year on January 1st. This means if you have any pending treatment to do, make the most of your benefits and use it up before you lose that money by December 31st. Remember, this is the busiest time of year for us as everyone is trying to get in to make the most of their benefits! Don’t get left out! Book now to save your spot! Remember, help us help you make the most of the dental benefits you are entitled to! September is Mouth Guard Month! Calling all parents! It’s that time of year again, it’s Hockey and Ringette season! That means it’s time for our annual Mouth Guard Month! Lace up those skates, grab that stick, and most importantly, make sure your kids have a custom fitted mouth guard from us! We think kids being active and playing sports is a great thing, so much so, that we are a proud sponsor of some of our awesome local teams such as the Clippers (look out for our sign in the Niverville Centennial Arena). However, did you know dental injuries to the face are the most common type of injury when playing sports? For this reason, dentists (and most sports regulatory boards) either recommend or mandate the use of mouth guards. a. A custom fitted mouth guard will significantly reduce injuries to the head and neck by protecting your jaw joint. It also aids in preventing concussions as it acts as a cushion for your lower jaw, and decreases the chances of breaking your front teeth by almost 90%! b. A custom fitted mouth guard also protects the soft tissues such as your lips, cheeks, tongue and gums from injury and lacerations. c. A custom fitted mouth guard does not impair your breathing or speech. It is made for your mouth, therefore there is no need to clench down on it in order to hold it in place. Even children with braces should wear a mouth guard. It will protect the child from being injured from the brackets and wires should an impact occur. Additionally, children with both baby and adult teeth should have a new guard made as needed as the mouth changes with every tooth that is lost, and with every tooth that erupts. For the month of September, all young athletes ages 7-17 can have a custom fitted mouth guard made by us for only $40 (regularly priced $120)! Please call 204-988-3634 to book your child’s appointment as spots do fill quickly. See you at the office and on the ice! Hi there! I'm Dr. Sunayna, but please just call me Sunayna. Welcome to the first ever blog post for Niverville Heritage Dental Centre! Now you may be thinking, "Why on Earth is this post called Welcome Home?" Most people don't exactly think of home when they think of visiting the dentist, but that's exactly how we want it to feel when you come - inviting, familiar, and comfortable. We are the office who takes the time to chat with you because we actually want to know what's happening in your life. We are the office that you can hear laughter coming from when you enter. We are the office that you will want come back to! Sounds crazy, I know, but I promise, it's true. I want this space to be a place where you learn about all things teeth that matter to you cause yes, believe it or not, we love teeth! We care about your overall oral health, because we care about you. However, there's only so much teeth related information you can take in, I get that. So that's why this space will also be about life. We will chat about things happening in the community, share some of our favourite recipes, showcase some of our incredible patients, and so much more. So please, sit back, relax, and have a good read. We are so happy to have you. Oh, and one more thing, welcome home. Welcome to the Niverville Heritage Dental Blog! Have a question about your teeth? Leave us a comment and we'll be sure to answer.